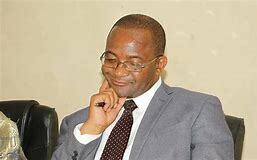 MDC secretary-general Douglas Mwonzora says he will decide in the next few days if there is still any merit in fighting to retain his current position at the party's congress scheduled for May 24 to 26. Mwonzora brew a shocker over the weekend when he informed party supporters in Mutare about his decision to pull out of the presidential race to focus on retaining the secretary-general's position. Mwonzora yesterday said he withdrew from the presidential election race because the playing field was not even, but it tilted in favour of his rival Mr Nelson Chamisa.